A driverless car is one that is capable of sensing the environment that it is surrounded with and navigates itself without less or no input from humans, these cars are also known as a self-driving car or an autonomous car. Due to the features that the car possesses it has gained a lot of attention from worldwide and it is anticipated that it will surpass the human work and toil; these cars will sure make a revolution in the future. These types of cars are easily reached to the audience with the help of Hollywood’s sci-fi movies. But this is the high time that anyone should know about this marvelous outcome of the technology in the recent times; due to the alluring features the car has hit the limelight. But still there are many people haven’t heard about this unique outcome. I’m sure there are many people have heard about the ‘Autopilot mode’ in the airplanes, which helps the pilot takes their hands off of the yoke. Now the car drivers can go for an ‘auto-pilot’ mode and the technology has made it possible. This will be helpful for an airplane but when it comes to the car it is much complicated as the car needs to hit the road that is filled with a lot of obstacles or hindrances and the objective of a driverless car is to avoid all the obstacles and helps the car to reach the destination by acting more like a human that is making decisions on the roads. This is the one of the best features about the car, this can be used in the long distance travels or turning the car into the autopilot mode during night travels when the driver feels sleepy, which would help the driver to sleep or to take a nap. For any vehicle that needs to drive by them would sure need an understanding and analysis of the circumstances and the surroundings as well. This can be done with the help of Artificial Intelligence (AI), which helps the cars to identify the surroundings. The car will be regularly monitoring its surroundings at a particular circumference around it and if anything that falls into that will sure be monitored by the car and takes decision by itself like tilting right or left, or this will be passed to the driver and the passengers who are inside the car to receive updates from them. The AI used in the car will incorporate deep and machine learning to understand the situations and scenarios. This helps the passengers in the car to sit back and relax by just enjoying the ride. The decisions are made by accumulating the data that are fetched from the surroundings. There would be a sensor sensing to all sides of the car, if anything that reaches perimeter of the sensor than it will take actions and if necessary it will seek the drivers or the passengers to take control of it by seeking manual overload to the automated system. So, how to avoid these mishaps and how to avert a disaster that would question the viability and the safety of the self-driving cars? When the cars loses the connection then it will stop by going off the road, the cars might collide with the each other or even worse, by hitting the pedestrians. Although there can be a lot of worst case scenarios be drawn, but the point is connectivity plays an important role in the communication and data transfer. The Internet of Things (IoT) takes care of these issues in the modern self-driving cars, and kudos to the 5th generation internet services and to their speed. 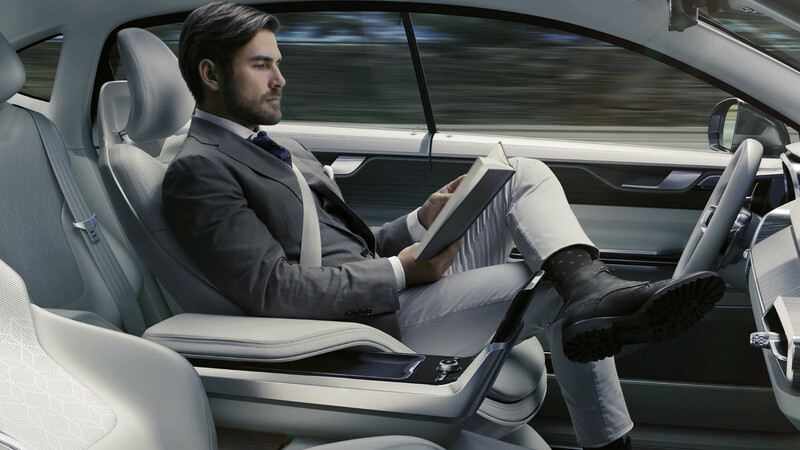 Self driving cars make the internet as its medium, and due to the advent of 5th generation internet connectivity it is much easier to get the work done in the snap of a time. IoT enabled cars are proven to track record for efficiency, security and reliability. The durability standards are one that helps the users to maintain a high level of communication and data transfer with the help of 5G networks, when compared to the 2G, 3G and the 4G networks. It has been agreed by many that the 5G network is the most effective medium for ensuring a smooth and reliable transmission of data. This is another solution for the driverless cars to fix the environments and roads that they are travelling through, due to the internet facility the car will get to know about the updates and changes that are made in the particular area and this will be fetched from the database to provide an excellent and error-free outcome. This also includes the names of the streets and buildings in a particular city, which can be used of the transportation just by setting the particular location as the destination. This has to be implemented in every self-driving car as there might be some road blockages and diversions signs would pop-up out of nowhere, this will be updated in the map and also in the database so that the car can use the most updated data for transportation. Along with this the application provides a highly secured data transformation among the cars and other units where it needs to access the data to ensure a smooth ride. This might differ from city to city. 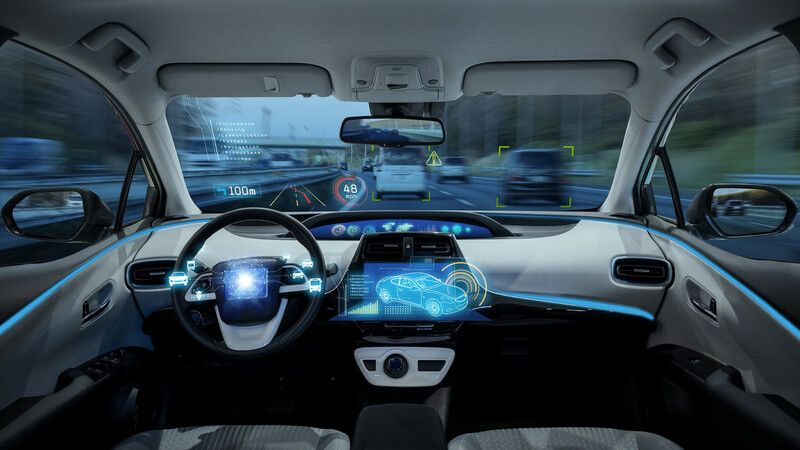 The overall appearance of the Driverless Autonomous Cars seems to bring a drastic change in the automotive industry along with bringing a lot of anticipation and hope that it would reduce the mishaps and other erroneous outcomes. The self-driving cars are able to switch lanes according to the necessities and the speed limits. This would also leads to help the humans to indulge in some other activities such as working in their laptops or texting someone, or even talking to a fellow passenger. But it is sure that the Driverless Cars will save a lot of time and money for the users.